Captain Bob (Robert S. Bartlett). 1908-09. Courtesy of The Peary-MacMillan Arctic Museum, Bowdoin College. Photograph by Donald Baxter Macmillan. A: To determine the role of a recently rediscovered notebook from the hand of Admiral Peary’s Captain Bob Bartlett in the evolution of the story of Peary’s claims of first discovery of the North Pole during his 1908-09 expedition. The notebook was found during a move of the American Geographical Society archive from its New York City quarters to its present home at the University of Wisconsin—Milwaukee. This analysis demonstrates the utility of a multidisciplinary approach to reading expedition literature, employing the tools of book and publishing history, literary analysis, geographical calculation, political and economic considerations, and behavioral considerations. Robert E. Peary and Robert S. Bartlett. Ca. 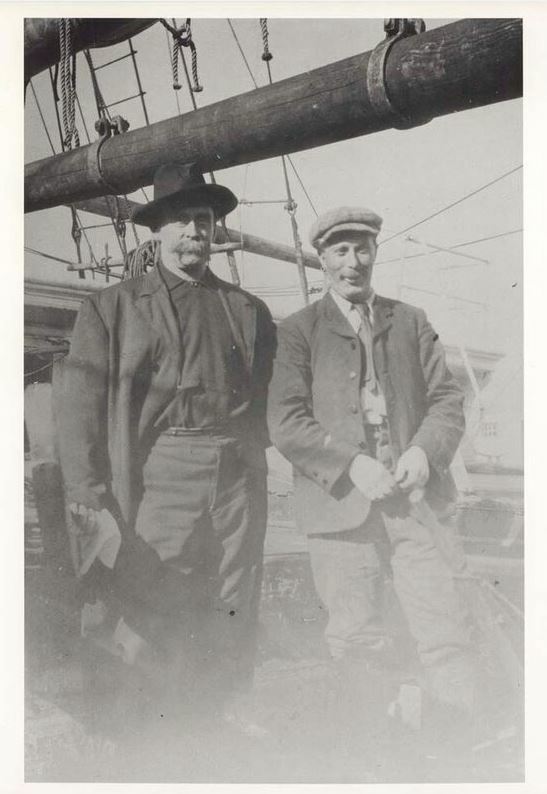 September 6, 1909, at Indian Harbour, Labrador. Courtesy of The Peary-MacMillan Arctic Museum, Bowdoin College. Photograph by Donald Baxter Macmillan. A: Almost all of the literature on Bartlett’s days with Peary comes from people with highly partisan views, and most often with something personal to gain from judgments pro and con. This intemperate literature, focused on who got to the North Pole first (or at all), is too often myopically either pro-Peary and anti-Peary, or pro-Cook and anti-Peary. Facts are selected only to bolster arguments and speculations about motive and character about. The sparser literature about Bartlett, especially in the years soon after the 1908-09 venture, is adulatory, and comes largely from the hands of pro-Peary supporters. All in all, it’s an unsatisfactory literature for the factually-minded scientist. This study draws attention to the evolution of the North Pole story and sympathetically reviews the factors that led to an overly simplistic view of the significance of the larger Peary story, here with Bob Bartlett’s notebook as the focal point. A: 1. The importance of the publishing practices, including commercial motivations and ghost-writing, in the evolution of story-telling and the public understanding of geographical exploration and achievements. 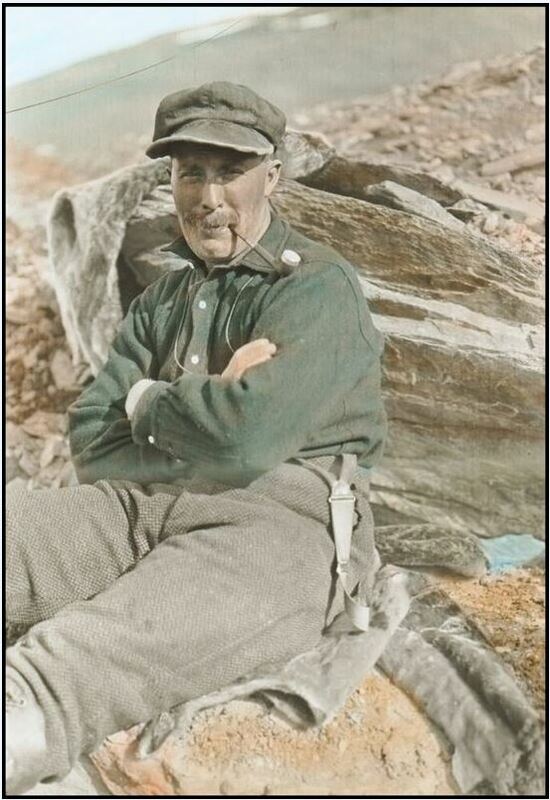 2.The important role of the ever-loyal Captain Bob Bartlett in Admiral Robert Peary’s achievements in his farthest north exploration and in the subsequent story-telling. 3.The usefulness of using a multi-disciplinary approach to the reading of expedition literature. A: This discussion of Bartlett’s 1908-08 AGS notebook adds to traditional questions of what and where of geography, and to more recent theoretical issues of how and why, in its focus on the importance story-telling mores and the effect of publishing practices and traditions on expeditionary literature.